"Just because you got let in the door doesn't mean the actual system is going to allow you to move forward and that is what I believe is reflected in the industry." 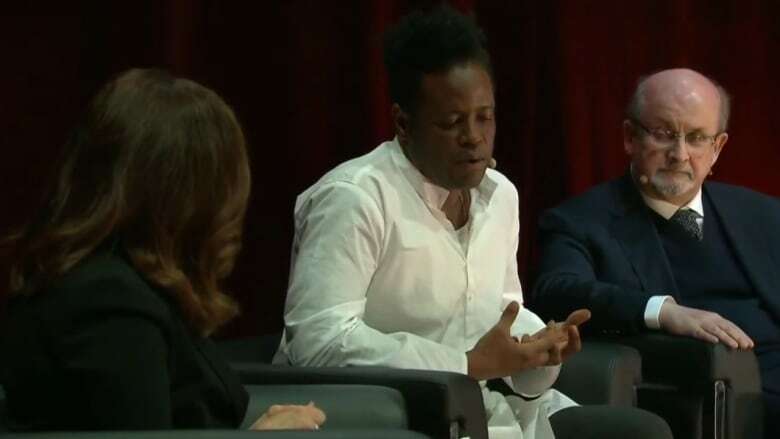 At last week's AGO Creative Minds, award-winning filmmaker and director of The Skin We're In Charles Officer challenged the Canadian film and television industry to look beyond simply diverse hiring and examine the systems that hold people back and push people away once they're hired. As he pointed out: "Just because you got let in the door doesn't mean the actual system is going to allow you to move forward and that is what I believe is reflected in the industry." Officer questions the industry's dedication to following through on the change that its leaders claim to be pursuing. "If you are trying to make change then you have to participate. It's not enough to [just] say it — not in these times when we have all this incredible talent and voices." He challenged those in positions of power to do better and give space for diverse stories and voices to have an opportunity to be seen and heard. "I'm asking the broadcasters, the programmers, the executives to look at your slate of what you're actually green-lighting, and if you can't actually provide this amount of space for these x amount of stories and experiences...well, that's the problem." "You gotta allow the space and allow these stories to actually have an opportunity." The conversation Officer was a part of at AGO Creative Minds explored art's place in revealing truth in the age of fake news and filter bubbles. Officer was joined by award-winning author Salman Rushdie, thought provoking performance artist Andrea Fraser and Juno-nominated musician IsKwé.